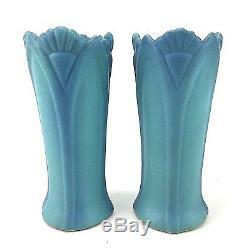 2 Van Briggle Mid Century Vases Turquoise Art Deco Arts Crafts Pottery. 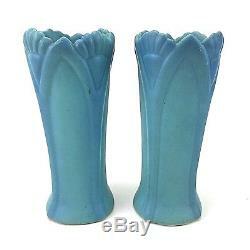 Each vase measures approx 7.5" (19cm) high x 3.25" (8.3cm) wide. Or sign up for our Newsletter. Showing our latest monthly sales. 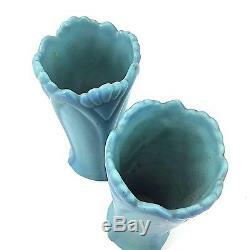 The item "2 Van Briggle Mid Century Vases Turquoise Art Deco Arts Crafts Pottery" is in sale since Friday, January 6, 2017. This item is in the category "Pottery & Glass\Pottery & China\Art Pottery\Van Briggle". 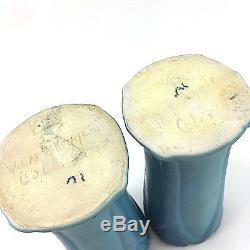 The seller is "dudahdavey" and is located in Rancho Mirage, California. This item can be shipped worldwide.